The Friends of St Giles' Church, Imber, and to the Royal British Legion. either proceed across the plain to Brazen Bottom and the Lavingtons, or turn right and carry on to Tilshead and Chitterne. There is also an hourly service from Gore Cross to New Zealand Farm Camp. All the buses are designed to meet up at Gore Cross to allow passengers to swap between them (and to take a few photographs), so even with a short stop at Imber, it is possible to travel on our entire network in about 4 hours. The main attraction at Imber is the 16th century St Giles' Church which is run by The Friends of St Giles who are volunteers. This is the only building open to the public in the village and is worth visiting (see www.imberchurch.org.uk for more information). As our buses run through Imber twice an hour, most of our passengers spend about 30 minutes to an hour at Imber, then board another Imberbus to view other parts of Salisbury Plain. Please note that all other roads, paths, buildings and fields are strictly off-limits – this particularly applies to the burnt out tanks and the “houses” at Imber, most of which were constructed by the military for training purposes and are not original. Light refreshments will be available inside Imber Church, and at Chitterne Village Hall and also at the Buffet at Warminster Station which will be open throughout the day. You might also want to sample one of the country pubs along the route – our route to Chitterne stops right outside the Rose & Crown at Tilshead and our buses pass near to other hostelries at Market Lavington, West Lavington and Chitterne which may be open for part of the day. 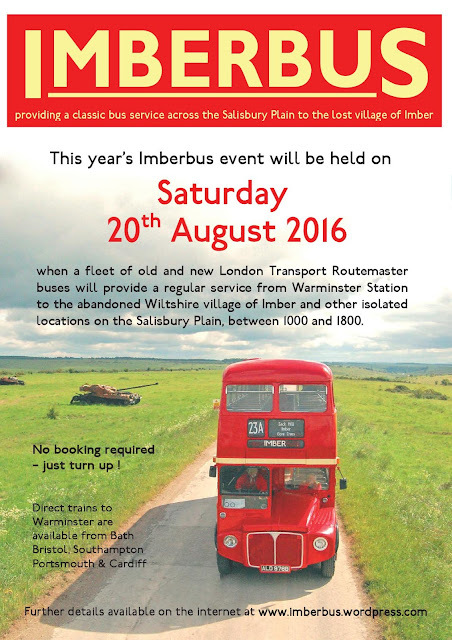 What other facilities are available at Imber ? The short answer is almost nothing! As Imber is normally closed to the public there are no shops, no permanent toilets and no mobile phone reception. 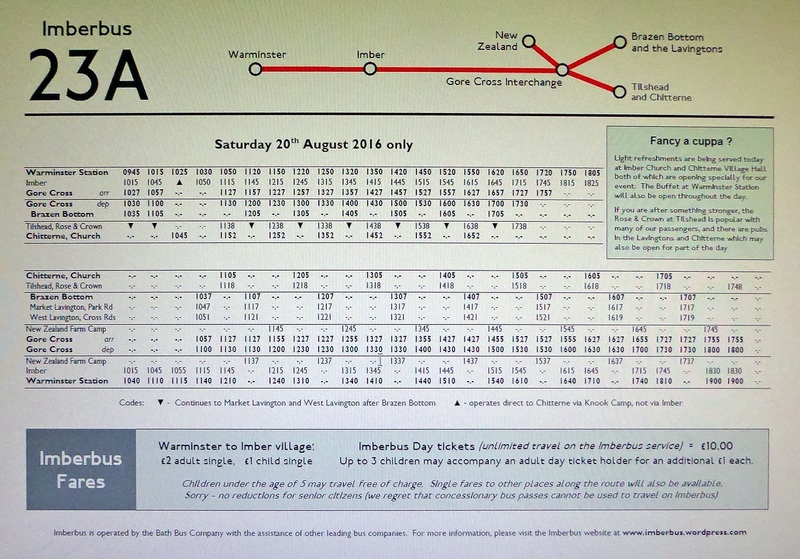 We therefore strongly recommend that you prepare for this before you board the bus (the nearest public toilets will be at Warminster Station and alongside Warminster Central Car Park).